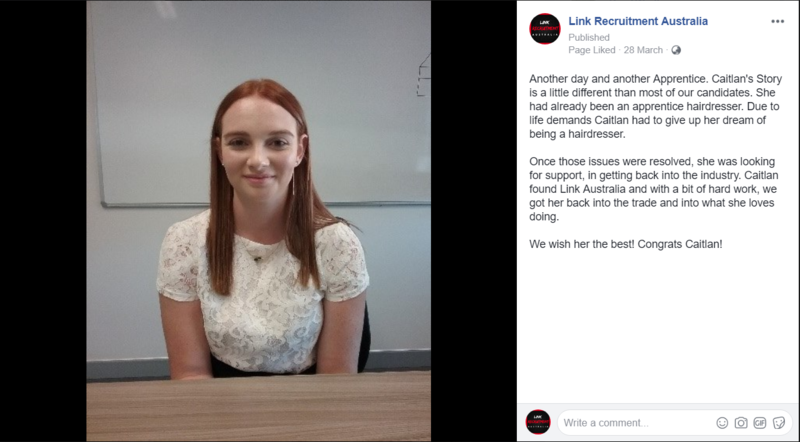 Link Recruitment Australia’s Job Ready Program. Referred to as APP. 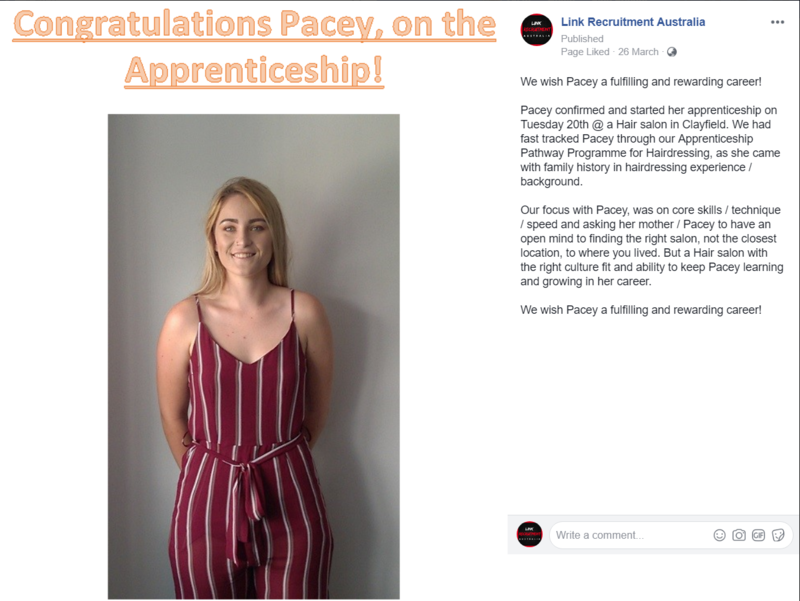 Makes candidates job fit for the Hair & Barbering industry. Up to initial 4 weeks, per candidate. with rolling 1 day per week there after, for candidates need more time. 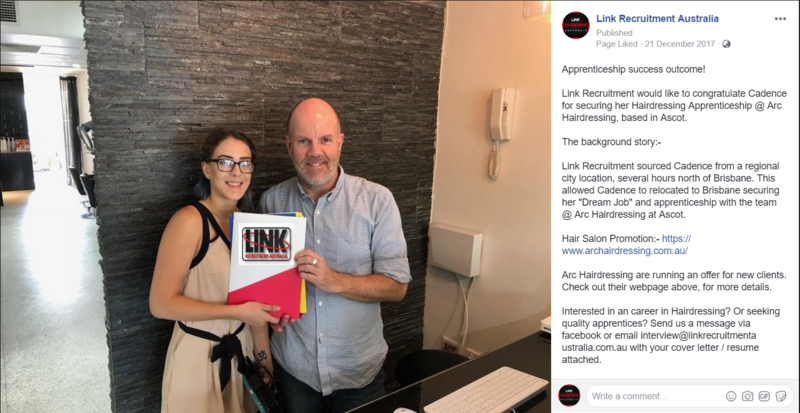 We have fully qualified Hairdressing Trainers, conducting the APP job ready programme. 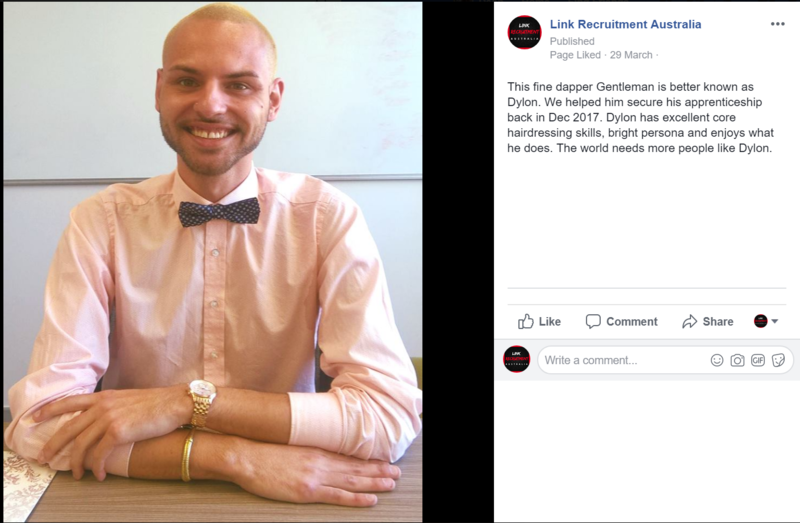 With Link Recruitment Australia, managing the overall process. 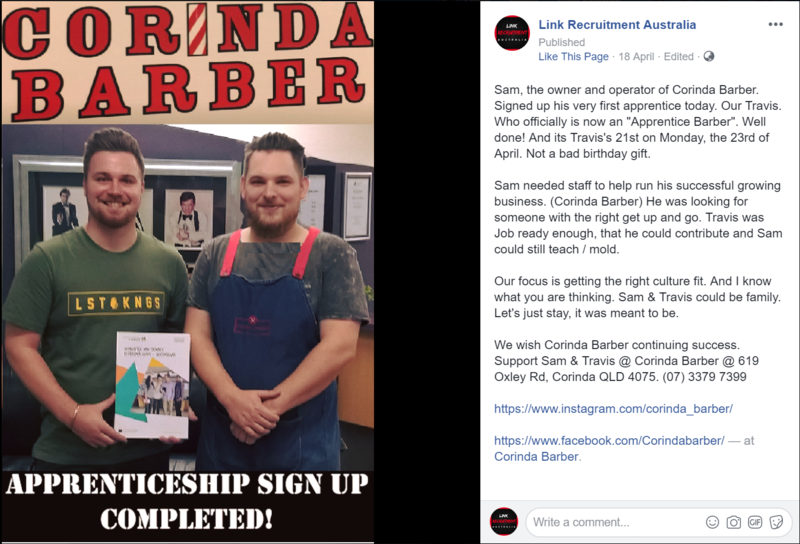 Link Australia provides a successful Job ready programme. 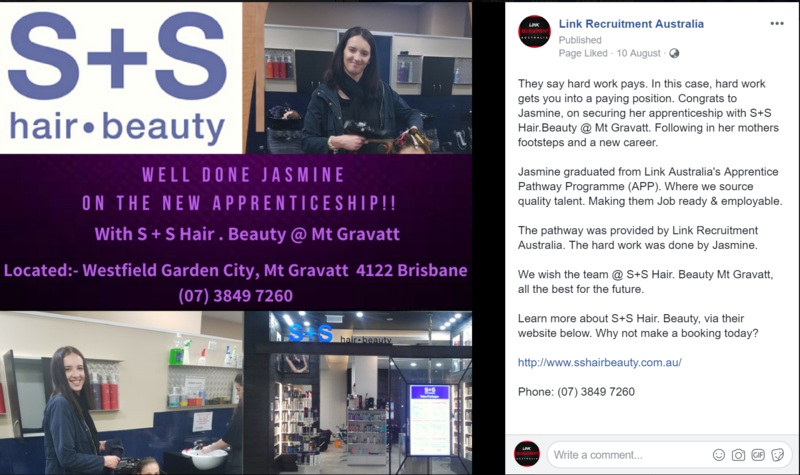 For the Hair dressing & Barbering industry. 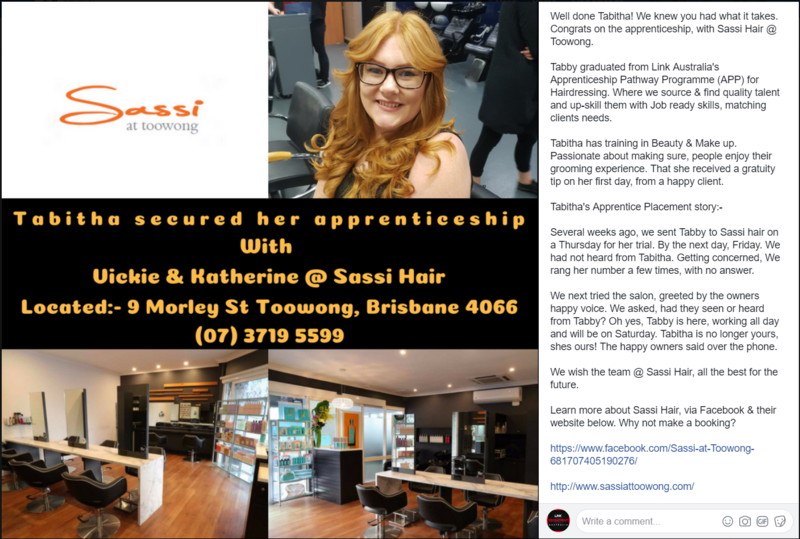 We supply raw to experienced talent to Hair dressing salons / Barber shops. With rolling 1 day per week there after, for candidates who need more time. The candidates are made Job ready over that period. 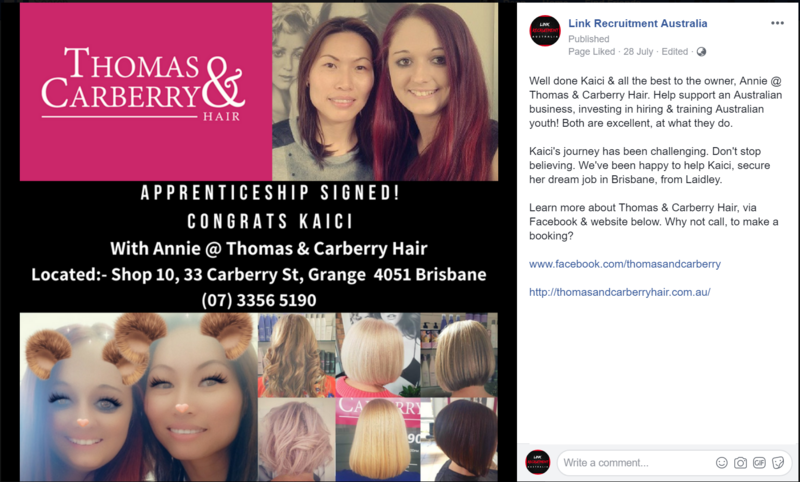 Covering core industry skills, to help secure an apprenticeship. 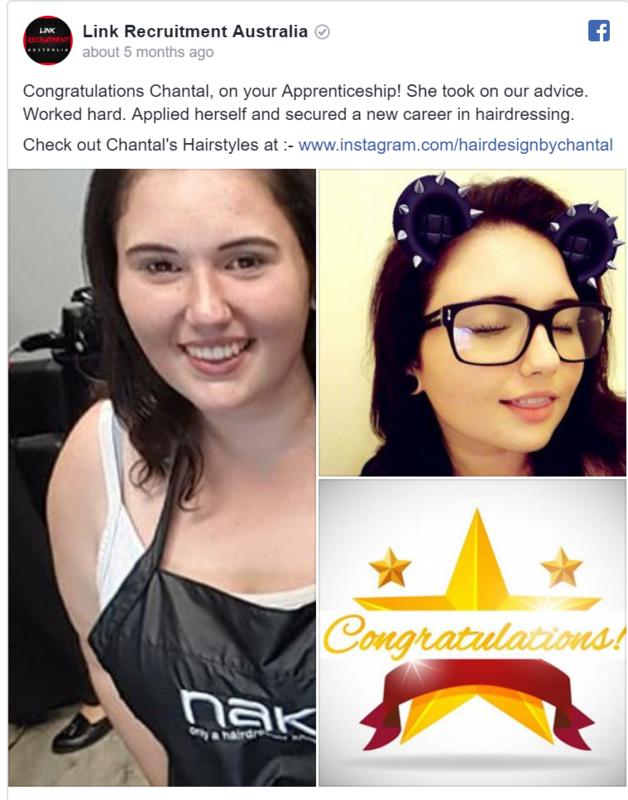 Candidates receive make overs, to boost their personal confidence. APP is competency based training system. A individual may become job ready, faster than another candidate. 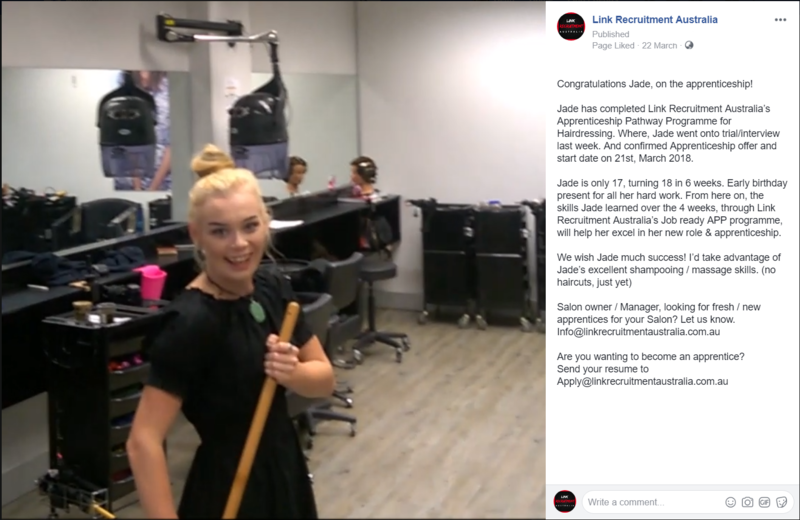 When our trainers / management team feel a candidate is Job Fit! Day to day training updates. Engaging Trainer with candidates and vice versa. Managing candidate / client culture fit / needs. 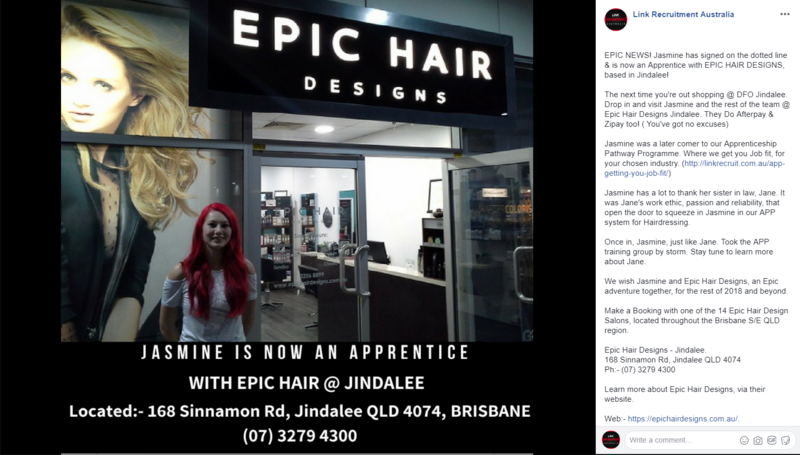 Educating Clients about the positives of our APP training and our success. Focusing on getting candidates job fit & then out to trials and interviews. 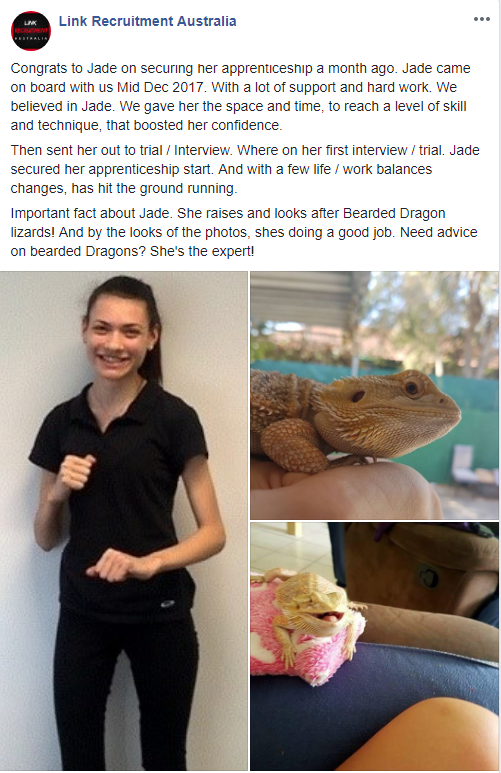 Providing Job interview / life coaching support. Prime age of candidates are 16 to 21 yrs of age. They need the above support. Making candidates accountable. Getting them into a Job ready state of mind. Link Australia is the vehicle, the tank is full, key is in the ignition. The candidates do the driving, while we drive them! 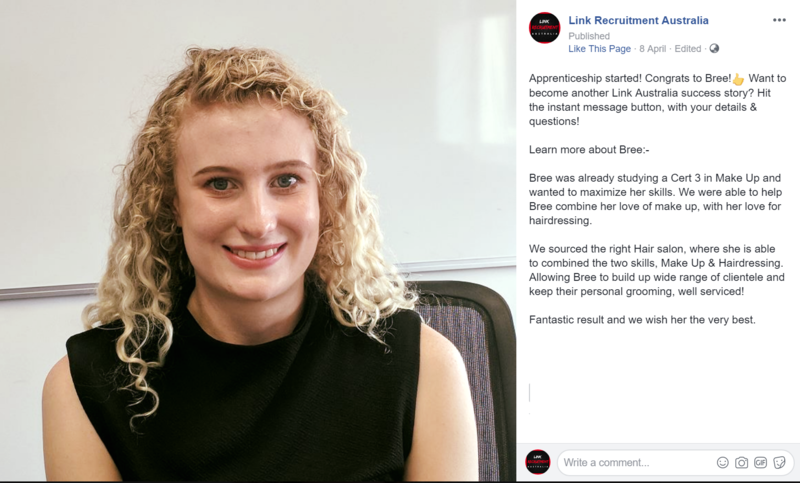 Bronwyn’s transformation, 3 weeks into Link Australia’s Apprenticeship Pathway Programme. We not only help transform candidates Practical skills, but enhance their Personal presentation, within our APP Job Ready Programme. 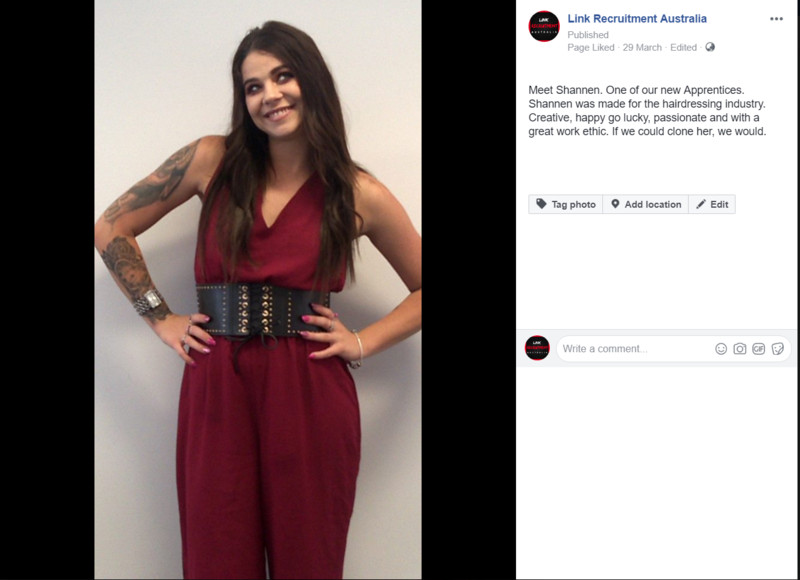 Personal presentation is all about marketing YOU, the brand to future employers. 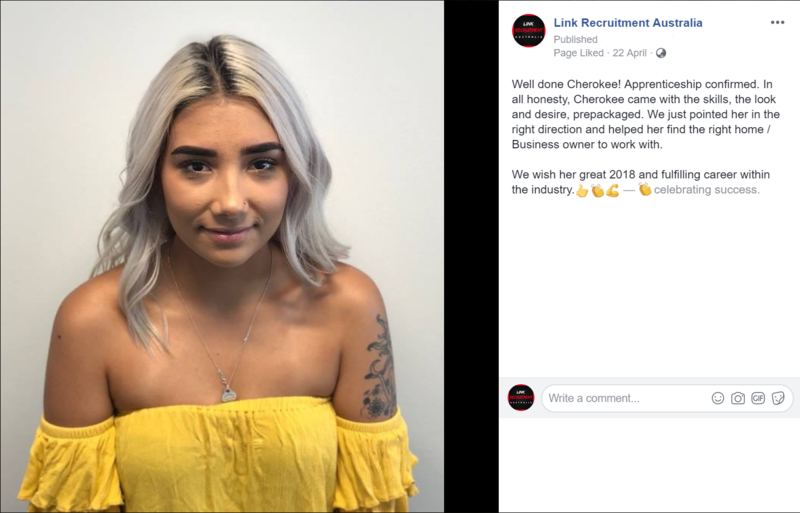 This will influence Employers opinion of you at interview / hiring stage – so personal presentation is about painting yourself in a positive light, always! First impressions last, there is often no second chance. The way you present yourself, your character, how you look, the language you use, the way you greet the person and the way you talk, will all be judged by your prospective employer. Organisations, no matter how big or small, spend a lot of time and money, working on their image and their business presentation to the world, so why not yours? 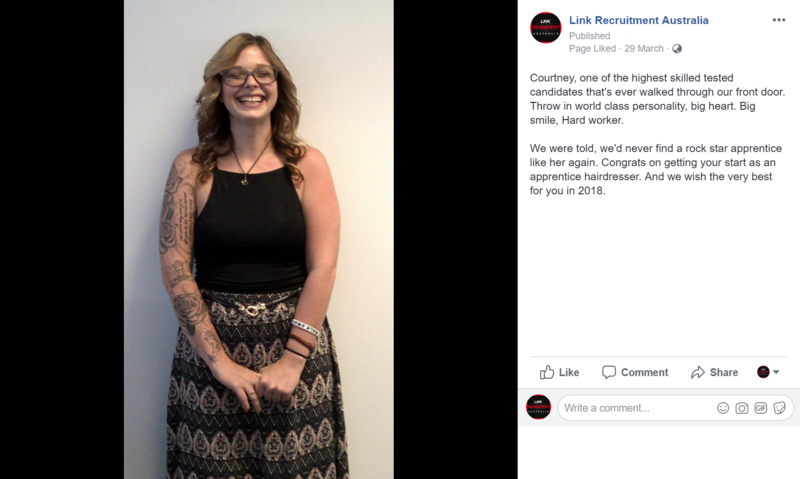 Become another success story, with Link Recruitment Australia Job Ready Programmes. 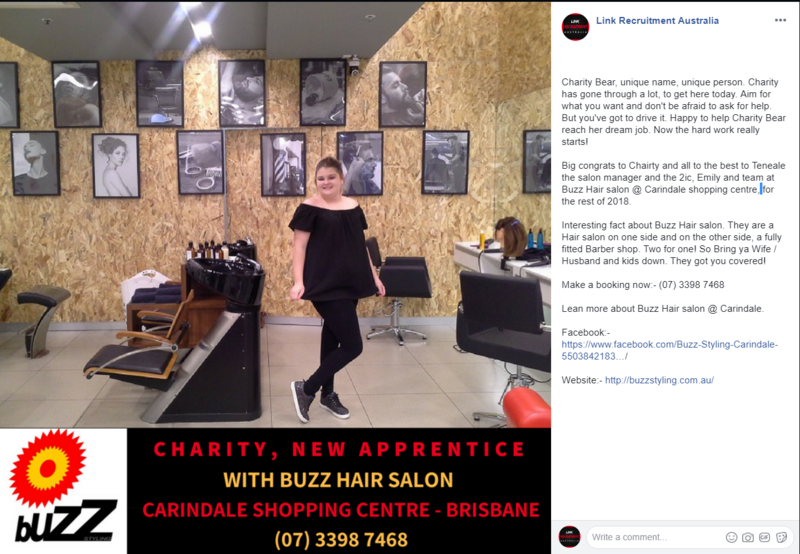 Covering Hairdressing, Barbering, Hospitality. Happy to provide our experience in developing peoples practical skills and their personal presentation. Giving them the best chance in the job market. No matter what the industry!